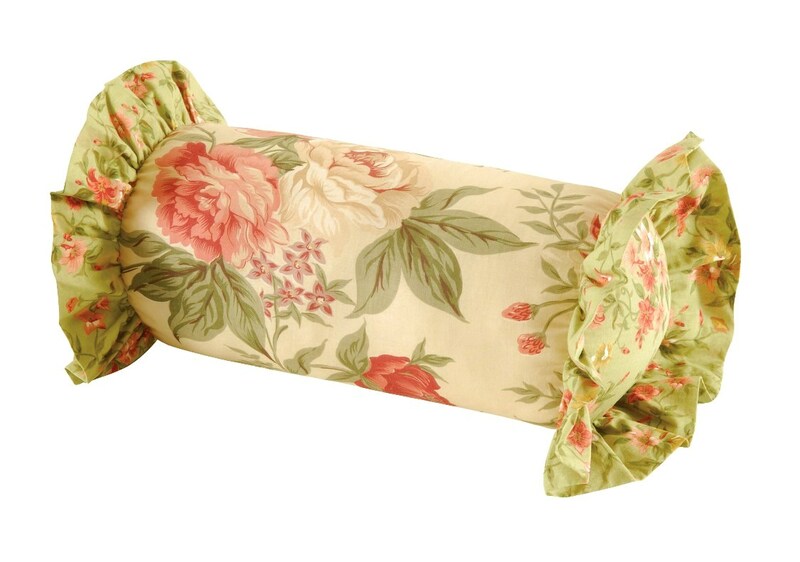 Reminiscent of a lovely perennial garden, row after row of flowery prints are edged in dainty ruffles. 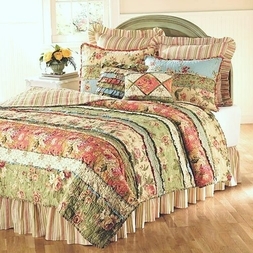 You�ll love the sweet, old-fashioned beauty of this colorful patchwork. The quilt is divded with tufted (raised) fabric rows, in romantic shades of rich cream, light and dark pink, country blue, coral and sage green. Twin quilt measures 66 x 86 in. Queen quilt measures 90 x 92 in.